Maintain a good, clean home without breaking the bank. 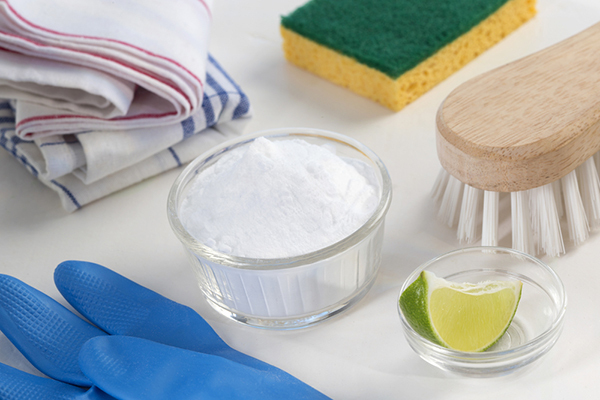 Save money and the environment all at once with these DIY home cleaning solution recipes. This recipe for homemade laundry detergent is an old favorite that has stood the test of time and uses only three commonly found ingredients. There are several different do-it-yourself combinations and methods you can try for getting your windows sparkling clean with minimal effort and expense. For a truly effective cleaning process, try a tip from Martha Stewart’s playbook. Her window wiping method will have you seeing yours in a new light – and they’ll even be streak-free. If your garbage disposal isn’t smelling as sweet as you’d like, try these solutions instead of commercial products. Even using something as simple as ice cubes can profoundly reduce odor and improve your sink’s functionality. To boost the power of ice, you can add rock salt as well for a stronger cleaning. Reuse some of your staple household ingredients, found in the aforementioned recipes, to whip up your own non-toxic floor cleaners. Not only will these methods be better on your wallet, they’re good for the environment and safer for small children and pets. Start experimenting today and find out which do-it-yourself natural cleaning recipes work best for your home.